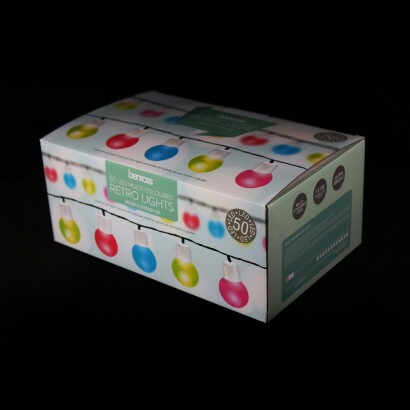 Add a little retro charm to your home and garden with cute candy coloured retro lights! 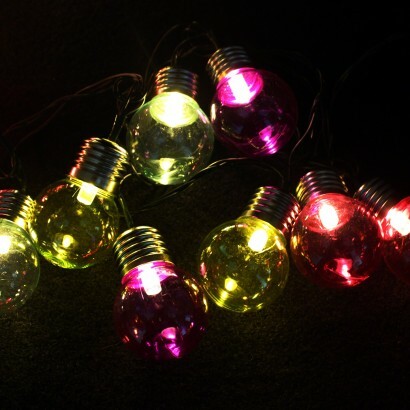 A string of fifty LED lights each in a plastic candy coloured bulb; pink, purple, blue and yellow, these decorative lights can be used indoors or outdoors (keep the transformer indoors). 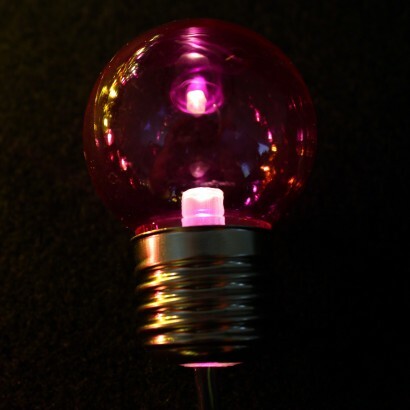 Use them in bedrooms wrapped around bedsteads, shelving and curtain rails for colourful fairy lighting, or take them outdoors to brighten up patios and trellises with their sweet retro bulbs. 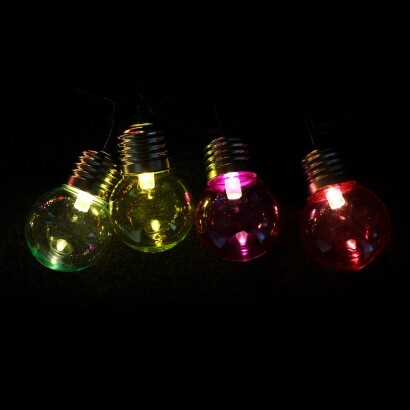 This string of retro coloured lights gives our small garden house a wonderful soft summer glow. They are not too bright but great in the late evening dusk. I love them.